For all SFX related ministry do use the official logo and colours (e.g. forms, publicity, program booklets, powerpoint/poster templates) You can find all these materials in the NAS (Network Attached Storage). 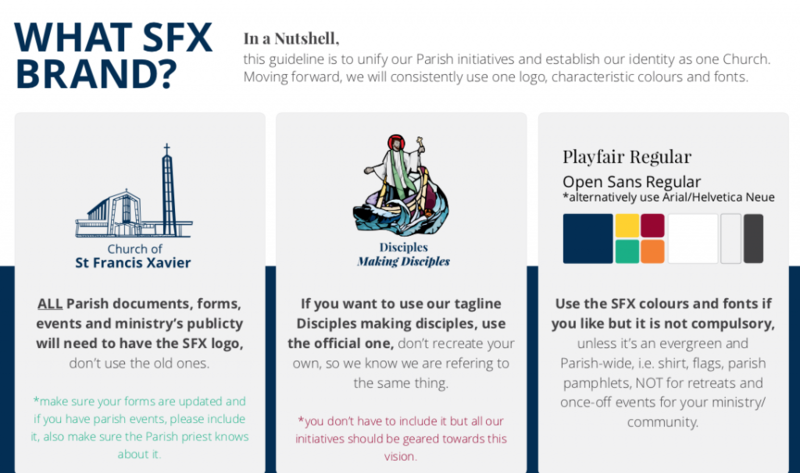 The guideline is meant to unify our parish initiatives and establish our identity as one church. The aim of the NAS is to provide a central storage for ministries and groups, facilitating in the passing down of information and retrieving SFX related documents and media. Groups are encouraged to keep programs, minutes, standard operating procedures (SOPs) or photographs in their folder. Do try to filter and delete unnecessary information/ documents. For booking of rooms, do access RBS. If in doubt/unclear, the admin will try to contact you, otherwise he/she has the right to cancel your booking. The admin may also reallocate you to ensure efficient use of rooms. You can refer to this guide for booking. Do not use it for your personal meetings (e.g. 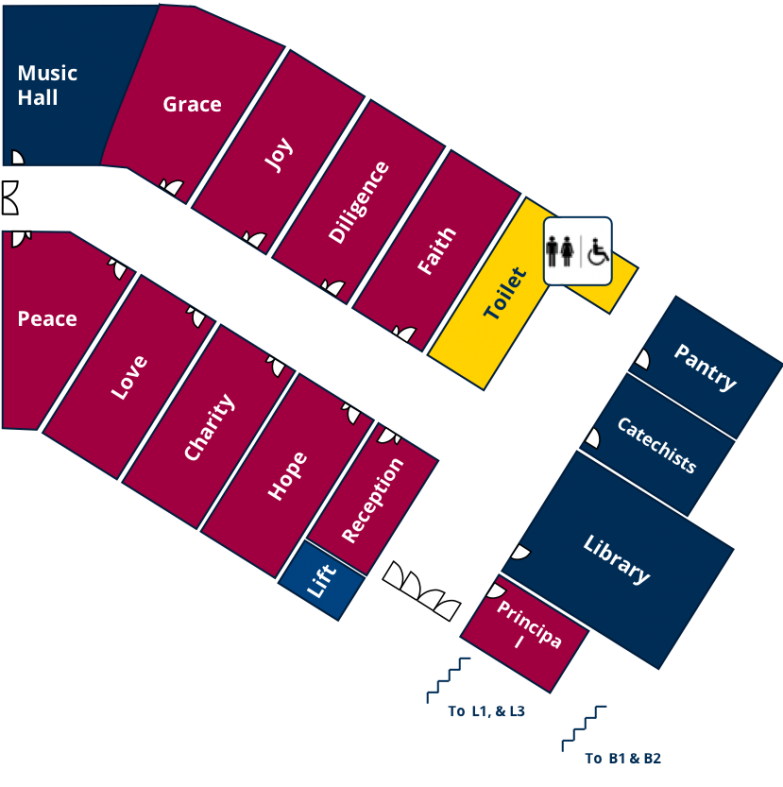 studying, wedding logistics), the rooms may only be used for church purposes. Your name/contact details must be provided for verification purposes. 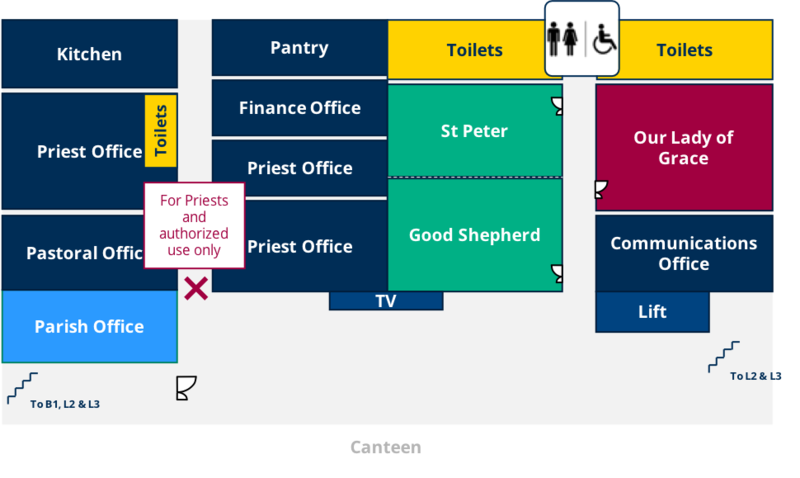 After booking, collect the keys from the Parish Office during office hours. If you do not collect the keys, the room will be released 10min after the start time. For cancellation, please kindly log in to remove the slot. Keep the place clean and tidy, turn off the lights and aircon before locking the room then return the key to the Parish Office. Bookings are usually on a first come first serve basis, but do be charitable in sharing our church resources especially when scarce/limited. Priority should be given to parish-driven events. Your booking is confirmed upon entering it in the system, except the Church/ Canteen/ Parish Hall which requires prior approval from the priests, the secretariat will approve your booking 1-2 days after receiving it in the system. For publicity of Ministry-Driven or Parish-Driven events, do inform your SD and send all materials to mmm@sfxchurch.sg. External events require Parish Priest approval first. Include items below by Monday 2359h the week of publish. Maximum time in bulletin is 4 weeks. 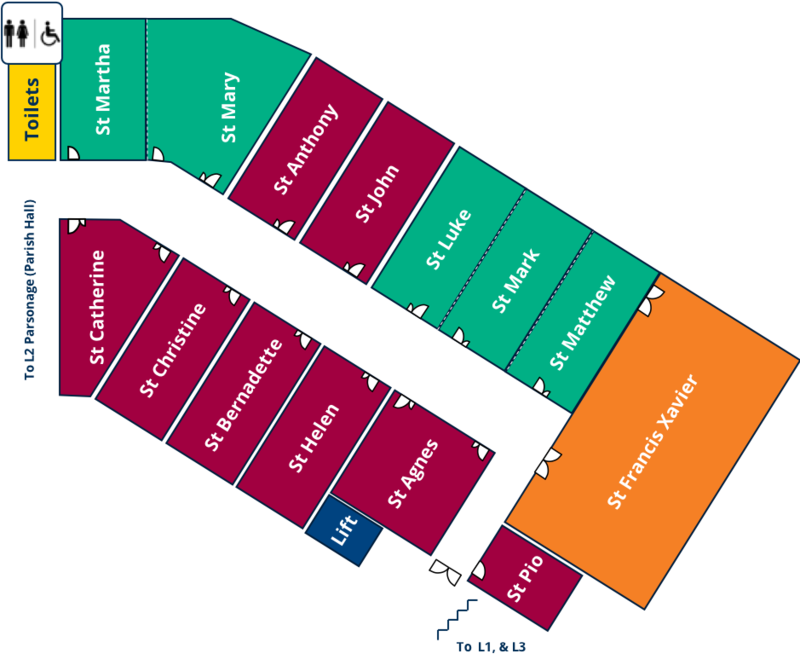 Only Parish-wide events. Include an A4 poster, detailed information. You may wish to also include testimonies and ensure your community page is updated. 1280 x 720px or 16:9. It is on loop before and after Mass times everyday. Still images will last 10secs. Do ensure readability. Need approval from your SD before placing them up around the church. Posters should be either A4, A3 or A2. Standees can hold A1 boards on kapaline/compressed foam boards. 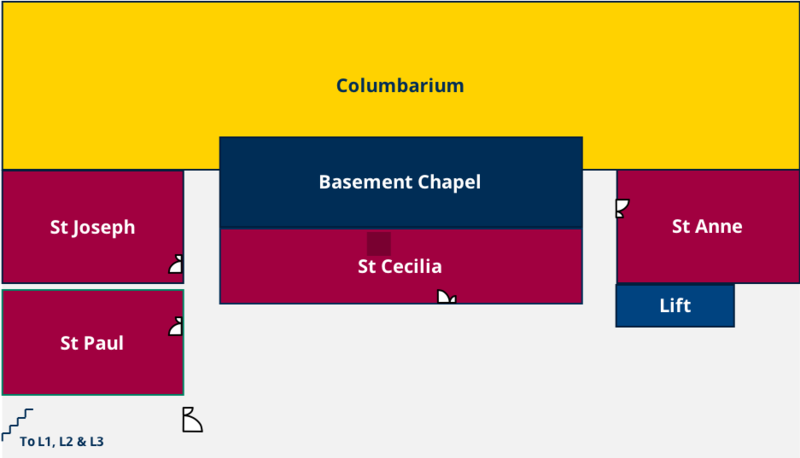 Banners are 70x180cm(standee), 460x88cm(hung on the railing near the Parish Office or down to the carpark) or 285x150cm(hung near gate or down to the carpark) . Remove it carefully when event is over. A testimony for 1 weekend is over 5 Masses. The speech should be no longer than 3min and the script needs to be vetted beforehand. Usually reserved for large parish-wide events. It should be given to MMM 0-2 weeks after the event. For large events, if you need a photographer, contact MMM with details of the program before the event (about event, date, time, duration, key moments) and we will arrange for a photographer accordingly.